Though the NHL will grab the hockey headlines all week, college hockey is also on its way back. As most teams fill their schedules with exhibition games this weekend, Ferris State travels to Colgate Saturday for a non-conference game that will officially open the 2013-14 college hockey season. When the puck drops, a new era in college hockey will have officially begun. Realignment has forever altered the landscape, but that’s been beaten to death over and over and you’re all probably sick of hearing about it. Well, now we get some actual hockey to talk about. If the 2012-13 season taught us anything, it’s that nothing should surprise us anymore. The tables have turned in college hockey and parity is at an all-time high. Trying to predict the season is basically throwing darts blindfolded. Part of that is what makes college hockey so fun. With that in mind, United States of Hockey has plenty of college hockey related content coming at you this week, starting today with ranking each team conference by conference. For my money, Hockey East is the best pound-for-pound conference in the country coming into the first year of realignment. The addition of Notre Dame certainly helps, as well as some of the most exciting returning players in the country led by UMass-Lowell’s Frozen Four crop, as well as Boston College’s No. 1 recruiting class. 1. UMass-Lowell (T-1) — Even with the loss of key pieces Riley Wetmore and Chad Ruhwedel, the River Hawks look poised to ride the momentum of last year’s remarkable run including a Hockey East title and run to the Frozen Four. Forwards Scott Wilson (PIT) and Joseph Pendenza, along with goalie Connor Hellebuyck (WPG), one of the nation’s best last year, are big-time college players. 2. Notre Dame (T-3) — With a veteran-laden lineup, the Irish should make the transition to Hockey East rather smoothly thanks to one of the best defensive corps in the conference. Finding consistent goal scoring is key, meaning senior T.J. Tynan (CBJ) needs a big-time bounce-back season. 3. Boston College (T-1) — The losses from last year’s team are significant, particularly goalie Parker Milner. The Eagles will be looking to a freshman goalie in Thatcher Demko, who accelerated to enter college a year early. He highlights what is probably the best recruiting class in the country adding to a still-powerful lineup led by Calgary prospects Johnny Gaudreau and Bill Arnold up front and Panthers first-rounder Michael Matheson on the back end. 4. New Hamphsire (T-3) — A lot of returnees from last year’s team that spent parts of last season as a No. 1-ranked team. There are impact players at about every position, highlighted by forward Kevin Goumas, defensemen Trevor van Riemsdyk and Eric Knodel (TOR), and goaltender Casey DeSmith. 5. Boston University (6) — New head coach David Quinn is known as a great developer of talent and BU is in need of plenty of molding. That said, the Terriers’ sophomore class could be a huge factor in putting last year’s disappointing campaign behind them. There are some dynamic players in that group including last year’s leading scorer Danny O’Regan (SJS) and offensive defenseman Matt Grzelcyk (BOS). 6. Providence (5) — Goaltender Jon Gillies (CGY) remains the big key for Providence coming into the season, but if Flames first-rounder Mark Jankowski took any steps forward developmentally, the Friars are a more dangerous team. 7. Maine (8) — The Black Bear faithful hopes new head coach Red Gendron can rekindle some of the magic of when he spent time as Sean Walsh’s assistant coach back in the glory days of the Maine program. He has an uphill battle, but goalie Martin Oullette (CBJ) and forward Devin Shore (DAL) should help. 8. Merrimack (7) — The Warriors have a lot of returnees, perhaps none bigger than last year’s leading scorer Mike Collins, though getting Sam Marotta back between the pipes is a nice bonus. The strength of this conference makes life a lot tougher for Merrimack. 9. Vermont (9) — I think the Catamounts will be better this year than they were last overall, but it’s hard to see them stacking up with the top clubs in Hockey East. They should be in a lot of games to the end though. 10. UMass (10) — The good news for the Minutemen is they have their three top scorers from last year returning, plus a few nice pieces added in the offseason. The bad news is, it still probably isn’t enough to finish better than 10th. 11. Northeastern (11) — The Huskies fall since Greg Cronin left the program for a job with the Maple Leafs has been dramatic and it is unlikely to get much better in this stacked conference. This all despite the fact that forward Kevin Roy (ANA) is one of the nation’s most dynamic players. So at least Huskies fans get to watch him all year. Freshman Mike Szmatula should make an impact too. The first year of the Big Ten is not the star-studded affair the league would probably hope for. Wisconsin returns a lot of key players, while Minnesota will lean more heavily on youth and Michigan is coming off a rather forgettable 2012-13. There is plenty of excitement still, especially with Penn State opening the new Pegula Family Ice Arena, which is likely one of the nation’s best facilities. There’s also quite a bit of national TV coverage for the league as well. 1. Wisconsin (1) — The Badgers are returning the majority of their best players from last season, which started slow, but included a WCHA postseason title. Forwards Nic Kerdiles (ANA), Michael Mersch (LAK) and Mark Zengerle should produce at high clips. 2. Minnesota (2) — The Gophers were decimated by early departures for the pros, losing almost its entire would-be senior class. That means a lot more pressure rests on younger players including sophomore defensemen Mike Reilly (CBJ) and Brady Skjei (NYR) who will need to step into sizable roles, while goalie Adam Wilcox (TBL) should build off a solid 2012-13 showing. Junior captain Kyle Rau (FLA) will have to be the offensive spark all season long as well. 3. Michigan (3) — The Wolverines have the same questions in net that plagued them last season, plus the early departure of Jacob Trouba to overcome. This forward group led by Phil Di Giuseppe (CAR), Boo Nieves (NYR), Andrew Copp (WPG) and new recruit J.T. Compher (BUF) is awfully good, however. They’ll probably help Michigan overcome some other deficiencies. 4. Ohio State (T-4) — The last three spots are really a crapshoot at this point. I think they could probably finish in any order. The sudden and shocking firing of Mark Osiecki as head coach could set the program back, but former assistant Steve Rohlik could help smooth the transition as a new head coach at least for this season. 5. Michigan State (T-4) — The Spartans are a tough team to figure out. MSU was not a good hockey team last year, but there were some bright spots like forwards Matt Berry and Matt DeBlouw (CGY). Freshman Mackenzie MacEachern (STL) will need to help boost the scoring, while MSU’s veteran goaltending tandem has to put up a big year. 6. Penn State (6) — It took me a while to decide where to put Penn State, in just its second year of existence as a Division I team. There’s a very good chance they could finish higher, but I don’t see the dynamic talent on this team that some others have. PSU’s big benefit however, despite their relative inexperience, is age. They’ve got a lot of older players, which can help narrow the skill gap. Freshman goaltender Eamon MacAdam (NYI) could be an instant difference-maker as well. 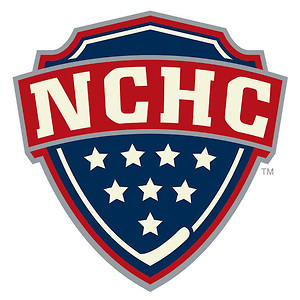 Much like its Big Ten counterpart, the NCHC probably doesn’t have the depth within the conference it would hope at this point, but that obviously could and probably will change over time. The league still boasts several teams that could be national title threats, probably none bigger than Miami. There may be some growing pains initially for the fledgling conference, but the (totally understandable and just) bellyaching about the end of traditions will subside and the league should flourish in the end. 1. Miami (1) — The RedHawks could be one of the most offensively explosive teams in the country, led by Riley Barber (WSH) and Austin Czarnik. The big deficiency is relative youth on defense, but that could be mitigated by Miami’s outstanding sophomore goaltending tandem of Ryan McKay and Jay Williams. 2. North Dakota (2) — UND has to weather the loss of Danny Kristo and Corban Knight, which will be tough, but there’s a lot to like about this team. Rocco Grimaldi (FLA) could be poised for a breakout season and will likely be asked to carry a lot of the offensive load. Dillon Simpson (EDM) will also have to be a minutes-devouring defenseman for UND’s young corps. 3. St. Cloud State (3) — It’s always tough to replace a Hobey Baker winner (Drew LeBlanc), but with some real talent up front led by Kings prospects Nic Dowd and Jonny Brodzinski, SCSU should score. It probably won’t be like last year’s dream season, but the Huskies will be ultra-competitive in the new NCHC. 4. Denver (4) — The shocking firing of George Gwozdecky last year is still resonating, however the Pioneers nabbed rising coaching star Jim Montgomery as his replacement. With two USHL titles in three seasons under his belt, the track record of success is there. DU lost a lot of talent from last year and some recruits, too. Patience may be the order in Pio land. 5. Minnesota-Duluth (6) — The Bulldogs probably have a few gaps to fill here and there, but with a great sophomore class and a potential impact-freshman in Dominic Toninato (TOR), the Bulldogs could be ready for a step forward. They’re still a long way from that 2011 national title, but they’ll be better this season compared to 2012-13. 6. Colorado College (7) — The Tigers were awfully streaky last year and I don’t know how they’ll deal with the loss of Rylan Schwartz, but CC should be able to hang around at least for a bit in the NCHC race. Senior Alex Krushelnyski will need to do a lot, while freshman defenseman Gustav Olofsson (MIN) has some serious upside and could be a difference-maker as the season progresses. 7. Western Michigan (5) — The Broncos leaned heavily on a defense that was one of the nation’s best last year, but three of its key players are now gone — Danny DeKeyser (NHL), Luke Witkowski (graduation) and Garrett Haar (CHL). WMU struggled to score last year and probably will again in 2013-14, especially after losing top recruit Mike McCarron to the OHL, but goaltender Frank Slubowski has the ability to steal some games. He’ll have to. 8. Nebraska-Omaha (8) — Though Dean Blais has had this program moving in the right direction, early departures and offseason turmoil changed things quickly. The forward group is still very solid with Ryan Walters, a legitimate Hobey Baker candidate last season, Josh Archibald (PIT), Dominic Zombo and top recruit Jake Guentzel (PIT), who was the USHL rookie of the year last season. There are questions on defense and in goal, which could prove costly in this offensively stacked conference. After seeing two of its teams make the national championship game, The so-called EZAC proved to be unfit of such a moniker. It is hard to see the league as competitive as it was last year, considering the level of departures, but there is still plenty worth watching in the ECAC, including defending national champion Yale. 1. Yale (1) — Several key pieces from the national championship team are gone, but the Bulldogs boast a solid recruiting class and some strong returnees led by Kenny Agostino (CGY) and Rob O’Gara (BOS). Inexperience in net is a concern, but Yale still has a team that should compete. 2. Cornell (5) — I thought the Big Red underachieved last season and should fare better in 2013-14. Cornell’s senior goaltender Andy Iles has more than 5,000 minutes between the pipes in college hockey and he can be the difference in any game. Bruins prospect Brian Ferlin could be due for a huge season as well up front. 3. RPI (2) — The Engineers have a ton of returning talent, none more important than goalie Jason Kasdorf (WPG), who was utterly brilliant as a freshman last year. Juniors Ryan Haggerty, Jacob Laliberte and Matt Neal were among the team’s leading scorers last year and are all back. Look for RPI to take another big step forward as a program. 4. Harvard (6) — Maybe one day I’ll learn. I always seem to overrate Harvard coming into any season and the Crimson usually falls short of my projection, but I’m going back to the well. An academic scandal decimated Harvard’s lineup last season, but all players have been reinstated, which gives the Crimson an experienced group. Jimmy Vesey (NSH) could be in for a huge year after a solid freshman campaign in 2012-13. 6. Quinnipiac (T-3) — Quinnipiac rode a vastly experienced group all the way to the national championship game, but so many key pieces are gone including goalie Eric Hartzell, who was the X-factor last season. Eleven seniors graduated from last year’s club. That’s a lot of bodies to replace, too many to expect a repeat last year’s success, though Matthew Peca (TBL) is one of the most exciting talents in the ECAC and perhaps the NCAA as a whole. 7. Dartmouth (7) — The Big Green was one of the big surprises last season and could be in for another solid year, maybe even better than I’m giving them credit for here. Tyler Sikura was an offensive dynamo last season and the talented Cab Morris is back in net for his senior year. Replacing Matt Linblad’s production will be this year’s challenge. 8. St. Lawrence (10) — SLU boasts one of the most dynamic scoring talents in the NCAA in Greg Carey, who decided to return for his senior year. The should-be Hobey candidate will have a mountain of heavy lifting to do with Kyle Flanagan gone. The Saints have experience and a lot of older players that could close the skill gap against other ECAC foes. 9. Brown (8) — The Bears should be able to put up some points this year, but how many they prevent is uncertain. There’s a lot of returning offensive talent up front, led by last year’s 22-goal man Matt Lorito. The inexperience in goal is where Brown may find its Achilles heel. 10. Colgate (9) — The Raiders have a lot of returning players, a fairly old roster and most importantly, a goalie with some solid minutes under his belt. They don’t have a lot of the flash of some other teams, but Colgate could hang around for a while in the ECAC. 11. Princeton (11) — Led by Andrew Calof, who could be a sought-after free agent at the end of the season, the Tigers have some pieces that should help them compete. However, a team like Princeton needs a good goaltender and there just isn’t much by way of proven experience between the pipes. 12. Clarkson (12) — Though many players are returning for the Golden Knights, it’s hard to find where the team got appreciably better from last season. Clarkson struggled to score and struggled to keep pucks out of its net. Casey Jones’ rebuild is still ongoing and could take a while. Up until this year, the WCHA was typically the strongest conference in all of college hockey, but after being decimated by realignment, it is now the conference for left-behinds. Made up of the also-rans of the old WCHA and CCHA, the shine on this conference is no more. That said, the majority of teams within the newfangled WCHA could experience some renewed hope. After competing against bigger, stronger, richer programs, the playing field has somewhat leveled, giving more teams a chance to compete for a conference title and an automatic berth into the NCAA tournament. So there is indeed a silver lining. 1. Minnesota State (1) — I don’t think there’s any doubt that the Mavericks are the best team in this conference. A tournament team a year ago, Minnesota State returns leading scorer Matt Leitner alongwith solid forwards Jean-Paul Lafontaine and Teddy Blueger (PIT). On top of that, they bring in blue-chip recruit Zach Stepan (NSH) at forward and return Stephon Williams (NYI), who was a revelation in goal last year. They’re heads above the rest of the conference in just about every way. 2. Ferris State (2) — A national runner-up just two years ago, the Bulldogs are anchored by stellar netminder C.J. Motte. There are plenty of players still left from the Frozen Four run, but now they’ll have some actual in-conference expectations to live up to. 3. Michigan Tech (3) — The Huskies enter Year 3 of the Mel Pearson era and should have eyes on competing for a tournament spot, even with the unexpected loss of Jujhar Khaira to the WHL, by way of a contract with Edmonton. A year of experience should help goaltender Pheonix Copley take another step forward and look for forward Blake Pietila (NJD) to be a dominant player in the new WCHA. 4. Northern Michigan (6) — Another team with a gaping hole left by a high-end goaltender, Northern Michigan will have to make up for it with a lot of returning forwards that can produce. Reed Seckel and Stephan Vigier will need to lead a strong scoring attack for NMU to meet this lofty projection. 5. Bowling Green State (4) — The Falcons have a lot of returning talent up front, but will have to find a way to replace the irreplaceable Andrew Hammond between the pipes this year. Junior Ryan Carpenter scored 18 goals last season and will have to lead the way again. 6. Alaska (5) — The Nanooks are always tough to predict. They really can surprise you sometimes, especially with their ability to win big games on home ice. They could make some noise in this new conference, especially if returning goaltender John Keeney can turn in a similar performance to his freshman campaign last year. 7. Lake Superior State (8) — The Lakers lost a ton of experience and size last year, but head coach Jim Roque seems to find ways to pull a lot out of the guys he brings in. Perhaps energized by the level playing field in the WCHA, I think the Lakers will do better than expected despite the significant losses from last year’s squad. 8. Bemidji State (7) — The Beavers were really in tough last year, with only six wins to their name. They’ll do better this year given the more favorable competition, but it’s hard seeing them finishing anywhere within the top half of the league. They’ll need more out of the talented Radoslav Illo (ANA) to make some headway. 9. Alaska Anchorage (9) — With plenty of returnees, the Seawolves should be able to compete in the new conference, it just might be an every-once-in-awhile kind of thing. They are tougher to beat at home and that could help them make up some ground. 10. Alabama-Huntsville (10) — It might be a tough year in the standings for UAH, but I don’t think the Chargers faithful will be too discouraged. This was a team on the brink of extinction. The WCHA executed one of the few great acts of realignment and took in Huntsville, despite financial risk. With a conference home, the Chargers should be able to lure a few more prospects in recruiting and rookie head coach Mike Corbett could lead the team into a hopefully more stable existence as a program. Atlantic Hockey might be one of the weaker conferences in college hockey, but I have to admit, it’s usually a lot of fun to track. The teams in this conference are almost all extremely competitive within the conference and picking a winner for this year is going to be tough. There are a lot of serviceable hockey clubs in here that could cause some trouble in non-conference action and maybe even at the national tournament. That said, ranking this conference is really not easy. 1. Canisius (4) — Atlantic Hockey is one of those leagues where if you have a great goaltender, you can make some things happen. Canisius has one in Tony Capobianco. Don’t forget, the Griffins had eventual national runner-up Quinnipiac on the ropes for a bit in the national tournament. Leading scorer Kyle Gibbons is also back for his senior year. 2. Mercyhurst (T-2) — The Lakers have two potentially dynamic offensive players in Matthew Zay and Ryan Misiak. Jordan Tibbett should be a solid starting goalie for Mercyhurst and they should build off of last year’s 19-win season. 3. Air Force (T-2) — Air Force has a lot of offense to replace, but the awesomely-named Cole Gunner could be a strong candidate to help soften the blow. Additionally, Jason Torf is one of the most experienced goalies in the conference, and a really good one at that. He could be a huge difference-maker for this team. 4. UConn (6) — The Huskies’ final year in the AHA could be an interesting one as they’ve started to attract some new recruits in anticipation of UConn’s move to Hockey East. Ryan Segalla (PIT) leads that new crop. UConn also returns many of its top scorers and standout senior goaltender Matt Grogan. 5. Niagara (1) — The defending AHA regular-season champion has plenty of returnees, but will be without Carsen Chubak, who was one of the nation’s best goalies last year. Not having that experience in back, along with a few other key players graduating is going to make it tough for the Purple Eagles to repeat. 6. RIT (5) — The Tigers are often the class of this conference and I think they could have another really strong year. The biggest benefit is experience throughout the lineup, which should allow the Tigers to navigate this conference pretty well, especially if they get the balanced scoring they did last year. 7. Robert Morris (7) — RMU was on the cusp of the national tournament last year and accomplished some really positive things. Replacing leading scorer Adam Brace and top goalie Eric Levine could prove pretty difficult though. Cody Wydo is a real bright spot though after posting 21 goals last year as a sophomore. The Colonials could pull a few surprises here and there. 8. Bentley (9) — Led by Brett Gensler, who has 114 points over his NCAA career, Bentley should be able to score quite a few goals next year. The big issue is stopping the other team from doing the same. With so many vets on this team, the Knights should be an improved club from last season. 9. Holy Cross (8) — Holy Cross made some noise last year, posting a 20-win season. The Crusaders have quite a bit of offense to replace from a team that wasn’t overpowering offensively last season. Goaltender Matt Ginn will have to come up with some big performances, as he did so often last year. 10. Army (10) — The Black Knights don’t score a lot, but they play a very grinding style that makes them tougher to beat. The lack of skill could prove a little more costly this year as Atlantic Hockey has some really solid scoring clubs. Goalie Rob Tadazak should keep Army in a lot of games though. 11. AIC (11) — With some losses in key positions, the already in-tough Yellow Jackets could be in for another long season. Senior Jon Puskar is a the top returning scorer and could be a standout in Atlantic Hockey this year. 12. Sacred Heart (12) — Even though new athletic Bobby Valentine (yes, that Bobby Valentine) has brought some notoriety to the school, the hockey team still looks to be Division I’s weakest. With just two wins last season, the Pioneers might be able to improve on that, but probably not by a lot. Coming soon: The USofH Freshman 15, highlighting which first-year players are ones to watch in 2013-14. Pegula Family Ice Arena looks pretty sweet and may be one of the best facilities in the US but can someone name the best college hockey arena? The Ralph Englestad arena “REA” easily the best hockey facility in the world…It is quite a sight!!! Uhh not sure how the NCHC isn’t considered the deepest conference. Nebraska-Omaha, the preseason bottom feeder, is a better bet to make the NCAA tourney without winning their conference tournament than Merrimack or Maine (the 7/8 teams in Hockey East). There is not an arena in the country close to the Ralph. There really is not an NHL arena that is as nice as the Ralph.